Deep Harmony tells the story of The Verlis Singers, in Cornwall, not too heavily disguised as the city of Truro. The conductor Gavin James excels. But his personal life couldn’t be more different. His wife of almost two decades has been having an affair. His business is failing and he’s in debt up to his ears. Luckily for him, though, the singers in this Cornish choir love him for his musical expertise, his stoical commitment and the way he’s taking the choir from strength to strength. Made up of an eclectic collection of colourful characters, the story takes its reader on a fascinating journey. Spanning the Cornish coast to Poland, this is no ordinary tale of your average choir. There’s deceit, treachery, forbidden love and a catastrophic rise to media fame. Will the choir ever get over the devastating news that’s knocked them all sideways? Will they finally get to Krakow and show Poland what they’re made of? Or has the time come for them to sing their last hymn? Grenville is known as Bath’s Mr Music though his leadership of seven local choirs with over 500 singers. These include the famous Bath Male Choir who made a big impression on the BBC Last Choir Standing Series a few years ago. He also leads the Bath Chorus, the Welcome Community in Bath, the Devizes and Bath Good Afternoon Choirs and the Bath Children’s choir. In past years he has raised many thousands of pounds for local community organisations and two Bath Abbey concerts in 2015 are supporting the Three Ways School in Bath for children with special needs. Last month with the support of three of his Bath-based choirs he helped Oldfield Park Baptist Church to raise £1,500 for Nepal Earthquake families. 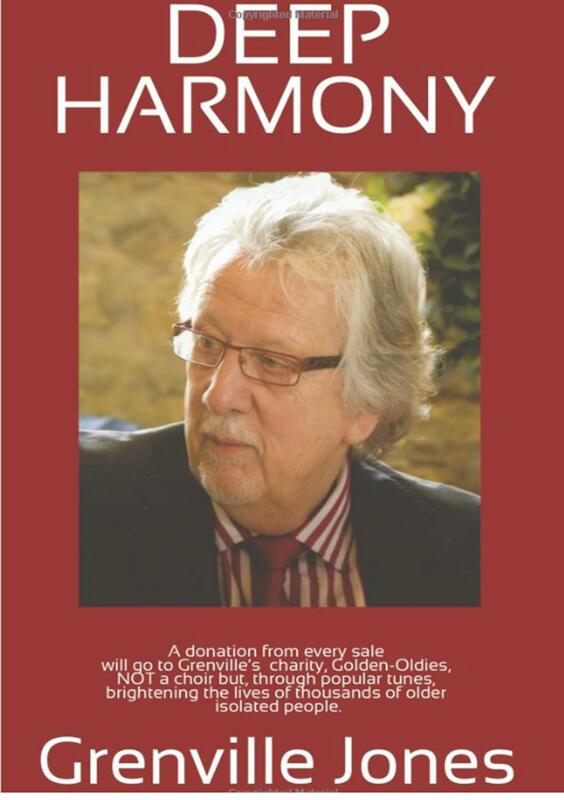 Grenville is also the founder and driving force behind the Goldies Charity, not a choir but an organisation that now brightens the lives of thousands of older people across Southern England and Wales, as Goldies CYMRU, and has seen him interviewed on TV and radio across the World. Goldies, as it is fondly known, now organizes over 140 daytime sing and smile sessions with 40 dedicated session leaders; 25% of all Deep Harmony sales will go towards the charity, taking his Goldies charity forward across the UK. “Singing on Prescription” is Grenville’s rallying call!